Leaders of Conference of Presidents criticize PA chairman's anti-Israel speech. “The intemperate and extreme language used by Palestinian Authority President Mahmoud Abbas will not better the situation of Palestinians or promote meaningful negotiations. Quite the contrary, with Abbas alleging that the Trump Administration committed ‘the crime of the century’ for recognizing the simple fact that Jerusalem is the capital of Israel - which was enacted into U.S. law by an overwhelming vote of both houses of Congress in 1995 and signed by President Bill Clinton,” they said. “The true ‘crime of the past century’ has been the refusal by Arab and Palestinian leaders to engage in serious negotiations that could have brought about a permanent resolution and meet the aspirations of the Palestinian people. The Palestinian leadership can continue to shift the blame or take responsibility and exercise courageous leadership. The lies and charges cannot undo the facts. Abbas’ challenging Britain over the 100-year-old Balfour Declaration, and blaming European countries for the very creation of the Jewish State, underscores that he does not accept the right of a Jewish state of Israel to exist,” continued Greenberg and Hoenlein. 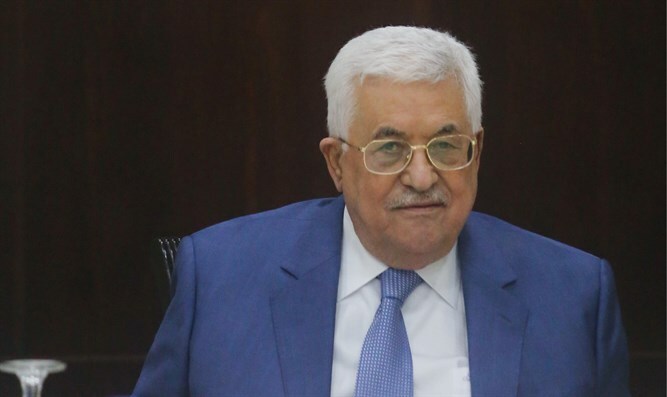 In a speech to the PLO's Central Committee, Abbas lambasted U.S. President Donald Trump, attacked the State of Israel, and denied its right to exist. Abbas said that "they wanted to bring the Jews from Europe to protect the interests of the Europeans in the region, and they asked the Netherlands, which had the largest fleet in the world, to transfer the Jews." According to Abbas, "Israel is a colonial project that has nothing to do with the Jews." The PA chairman also called President Trump’s December 6 recognition of Jerusalem as Israel’s capital a “slap in the face” to the PA, warning that the PA “will slap back”. Earlier on Monday, Prime Minister Binyamin Netanyahu also responded to Abbas’s speech and said that the PA leader had revealed his true colors, and exposed his fundamental opposition to Jewish statehood, which he called the “root of the conflict”. "I heard what Abu Mazen [Mahmoud Abbas] said. He has revealed the truth. He has torn off the mask and shown to the public the simple truth that I have been working to instill for many long years: The root of the conflict between us and the Palestinians is their steadfast refusal to recognize the Jewish state in any borders whatsoever," said Netanyahu.